The business-society interface has changed over the last decades of the twenty-first century as disparate interests within civil society have coalesced around an increasingly vocal -and powerful – nongovernmental or “third” sector. Non governmental organizations (NGOs) – the organizational manifestation of this movement -have gained considerable influence in government, business and within broader society. A coherent understanding of NGOs is a necessary precondition for proper consideration not only of their activities and influence, but also of the nature of the corporate-NGO interactions. In this chapter, we provide a definition of NGOs, a typology for conceptualizing the different varieties of NGOs, and discuss the importance of networks and coalitions to NGOs. Americans of all ages, all stations of life and all types of disposition are forever forming associations. In democratic countries knowledge of how to combine is the mother of all other forms of knowledge; on its progress depends that of all the others. There are not only commercial and industrial associations in which all take part, but others of a thousand different types – religious, moral, serious, futile, very general and very limited, immensely large and very minute. Nothing, in my view, deserves more attention than the intellectual and moral associations in America. Civil society, also referred to as the “third sector” or the “nonprofit” sector, is used to broadly describe all aspects of society that extend beyond the realm of the public and the private sectors. Unlike state-based rations: Conflict and Collaboration membership inherent in citizenship, association in civil society is voluntary, and it is characterized by individuals coalescing around common ideas, needs or causes to promote collective gain. It can be said that once these individuals unite in an organized or semi-organized fashion, they are taking collective action. When individuals or groups within civil society work together to advance a broad common set of interests, and these interests become a significant force in shaping the direction of society, the outcomes of this process are often called social movements. Social movements can be thought of as broad societal initiatives organized around a particular issue, trend or priority.4 Modern examples include the environmental movement and the feminist movement. When civil society groups come together to form more organized relationships, the entities that emerge are often referred to as nongovernmental organizations or NGOs. 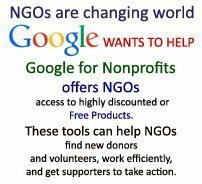 NGO is a broad term that is used somewhat loosely to refer to all organizations that are neither an official part of government (at any level) nor a private, for-profit enterprise. Within the category, however, there are many different types, characteristics and purposes of NGOs. Vakil suggests that: [The] lack of consensus on how to define and classify nongovernmental organizations has inhibited progress on both the theoretical and empirical fronts in the effort to better understand and facilitate the functioning of the NGO sector. The term ”non-governmental organization” dates from 1950, when the United Nations (UN) coined the expression.6 Presumably the UN, which primarily dealt with governments and wanted to consult private, nonprofit organizations that were independent of governments, found it convenient to refer to them simply as non governmental organizations to distinguish them from governments. Today the UN describes an NGO as: any non-profit, voluntary citizens group which is organized on a local, national or international level. Task-oriented and driven by people with a common interest, NGOs perform a variety of services and humanitarian functions, bring citizens’ concerns to Governments, monitor policies and encourage political participation at the community level. They provide, I analysis and expertise, serve as early warning mechanisms and help monitor and implement international agreements. Some are organized around specific issues, such as human rights, the environment or health. Another, more technical definition is offered by Hudson and Bielefeld: NGOs are organizations that (1) provide useful (in some specified legal sense) goods or services, thereby serving a specified public purpose, (2) are I not allowed to distribute profits to persons in their individual capacities, (3) are voluntary in the sense that they are created, maintained, and terminated based on voluntary decision and initiative by members or a board and (4) exhibit value rationality, often based on strong ideological components. Teegen et al. provide a more succinct definition, referring to social, purpose NGOs as: private, not-for-profit organizations that aim to serve particular societal interests by focusing advocacy and/or operational efforts on social, political and economic goals, including equity, education, health, environmental protection and human rights. NGOs can be broadly divided along two dimensions – (a) whom the NGO is designed to benefit and (b) what the NGO does. This taxonomy yields the matrix shown in Figure 1.1. Before looking at these different dimensions, a rather obvious caveat is worth making explicit. The typology depicted in Figure 1.1 is archetypical; in reality a single NGO may occupy more than a single quadrant at any given time and may move from quadrant to quadrant over time. Who benefits from the NGO? The first dimension concerns whom the NGO is intended to benefit. NGOs have multiple sets of stakeholders, often including financial contributors, board members, executives, staff and beneficiaries. Obviously, each of these groups of stakeholders can be composed of different types of individuals or organizations and the structure can vary enormously. For example, financial donors could include individuals, private foundations, governments and multilateral institutions; the staff might be comprised of paid workers or volunteers and the board could be executive or non-executive. Self-benefiting NGOs are often membership associations designed primarily to provide a benefit to their members, generally as a result of pooling interests. They are distinguishable by the fact that the financial and/or labor contributors to the NGO are themselves members of the group of intended beneficiaries. Examples of self-serving NGOs are unions, business associations, church groups, community patrol groups, Alcoholics Anonymous and amateur sports clubs. By contrast, other-benefiting NGOs are organizations in which the capital and labor contributors are not themselves members of the primary intended beneficiary group; or the pool of beneficiaries is so broad that the public good produced will be shared by a wide swath of society. In other words, the supporters are not donating to gain excludable private goods for themselves or their self-identified group. The World Wildlife Fund (WWF), Greenpeace, Amnesty International, CARE, the Open Society and Doctors Without Borders/Medicines Sans Frontieres (MSF) are examples of other-benefiting NGOs. Admitting to generalizations and broad brushstrokes, there are a few interesting characteristics that differentiate self-benefiting and other-benefiting NGOs. Self-benefiting NGOs tend to have a higher level of accountability to their intended recipients. The intended recipients are also the contributors and if the benefits of the NGO seem to be outweighed by the costs of contribution, the NGO will face pressure to improve its performance by its contributors. The primary organizational challenge is to prove efficacy and overcome issues of collective action such as tragedy of the commons and free riding. By comparison, other-benefiting NGOs tend to have less account-ability because they are not as dependent on their beneficiaries for their financial or labor resources. If they fail to serve their beneficiaries efficiently or effectively, but they can convince their contributors otherwise, they can continue to garner the necessary resources. The primary organizational challenge is to inspire and tap into the altruism that is required to gather financial and labor support. There are some obvious differences that result from these different organizational challenges. Self-benefiting NGOs tend to be seen as instruments of the contributors to gain benefit. While there can be some enthusiasm about the organization among its contributors, often the contributors do not see the organization as serving some higher purpose or of significant value in and of itself. By contrast, other-benefiting NGOs that rely on inspiring and tapping into the altruism of contributors tend to be very value-laden and “inspirational,” with contributors being “true believers” in the organization and its purpose. There is also a noticeable difference in how outside individuals and It organizations view self-benefiting and other-benefiting NGOs. In I: general, the population holds other-benefiting NGOs in high moral regard to the extent that they see these NGOs as selfless workers for the public good. By contrast, self-benefiting NGOs are not held in as I high regard, but are instead seen through a skeptical eye if the organization is advocating for its members own benefits, or simply as “neutral,” as in such service organizations as social or sports clubs. Over time, private sectors have expanded while public sectors have eroded, allowing for NGO sectors to subsequently grow and evolve with the surrounding environment. Figure 1.2 depicts this dynamic in greater detail while highlighting certain outcomes and future concerns regarding NGO activity. Strategic decisions have since brought to light a second dimension distinguishing NGO activities, which can be divided into “advocacy” and “service” sector NGOs. Advocacy NGOs work to shape the social, economic or political system to promote a given set of interests or ideology. They engage in lobbying, serve as representatives and advisory experts to decision-makers, conduct research, hold conferences, stage citizen tribunals, monitor and expose actions (and inactions) of others, disseminate information to key constituencies, set/define agendas, develop and promote codes of conduct and organize boycotts or investor actions. In these ways, advocacy NGOs give voice and provide access to institutions to promote social gain and/or mitigate negative spillovers from other economic activity. A finer distinction between two types of advocacy NGOs – “watchdog” and “social movement” NGOs is worth highlighting. In brief, watchdog NGOs are less ideologically radical, relative to the communities in which they operate, and are generally satisfied with the broader economic, legislative, political and social institutions. Thus, the role of watchdog NGOs is not to radically change’ the system but ensure that the requirements of the system are actually being met by various other organizations, such as firms and regulatory and legislative bodies. By contrast, social movement NGOs are not trying to support the existing system, but to change or undermine it. The mote radical the social movement organization, the more radical the change they are pursuing. These topics are covered in more detail in Chapter 4, including further developments on the differences between these two forms of advocacy groups, and greater focus on their disparities regarding campaigns, goals and tactics. Service-oriented NGOs provide goods and services to clients with unmet needs. NGOs have long stepped in to serve as critical “safety nets” where politically challenged, indebted or corrupt states are unable or unwilling to provide for societal needs, and where global problems defy the conception of nation-state responsibilities. Examples of such service activities include relief efforts provided by the Red Cross/Red Crescent, natural resources monitoring by WWF and the distribution of medicinal drugs by Doctors Without Borders. As noted above, although some NGOs focus primarily on advocacy or service delivery, many others pursue both sets of activities simultaneously, or evolve from one to the other. For example, Oxfam, the, global development and poverty relief organization, advocates for changes in public policy that would provide greater support to its efforts while also contributing directly to health, education and food security in the developing countries in which it operates. Similarly, Doctors Without Borders and WWF are active on the ground, delivering services in their respective domains, but they also simultaneously lobby in the legislative arenas. The following brief example on environmental conservation illustrates the relationship among civil society, social movements and the emergence (and convergence) of different types of NGOs. Environmental conservation has long been of concern to civil society in North America. A strong and ongoing conservation movement gave rise to two service-oriented environmental organizations, the Nature Conservancy (founded in 1951) and WWF (founded in 1961). This longstanding movement, in conjunction with a growing social movement and related activism over civil rights and the Vietnam War in the early and mid-1960s, gave rise to the environmental movement of the 1960s. This movement gained momentum after the publication of Rachel Carson’s Silent Spring,10 which exposed the hazards of the pesticide DDT, eloquently questioned humanity’s faith in technological progress and helped set the stage for the environmental movement. In turn, this paved the way for the creation of a number of environmental advocacy organizations, such as the Environmental Defense Fund (founded in 1967) and the National Resources Defense Council (founded in 1970). Over time, many environmental advocacy organizations developed more of a service focus, and many service NGOs began to take positions on environmental policy issues, creating some convergence in these organizations and their missions. Figure 1.3 presents a stylized depiction of this evolution. In the typology discussion above, we considered each NGO in isolation. However, to understand the NGO world, we need to recognize and understand the important role of NGO networks. In a recent review of network theory from a multilevel perspective, Brass et al. suggest that social network theory is still relatively underutilized as a theoretical foundation to explain and illuminate organizational phenomena.11 Doh et al. argue that because of their limited resources, diverse goals and competition for support, NGOs are particular beneficiaries of network involvement. They suggest that the types of networks employed, and the relative utility of these network types, differs for NGOs when compared to networks among private, for-profit corporations. They cite the concepts of power and influence as instruments used by NGO actors to achieve desired outcomes as critical variables to better understand network usage by NGOs. They then develop a typology of NGO network usage based upon (1) network connection locus and (2) network goal scope wherein the instruments of power and influence are activated by these organizations. Another network approach to NGOs considers them within the context of policy networks- self-organizing groups that coordinate a growing number of public (decision-makers) and private (interest groups) actors for the purpose of formulating and implementing public policies. Policy networks may be viewed as a sub-category of inter-organizational networks, most often defined in terms of their structural characteristics and function. When defined according to their structure, inter-organizational networks can be viewed as “a cluster.